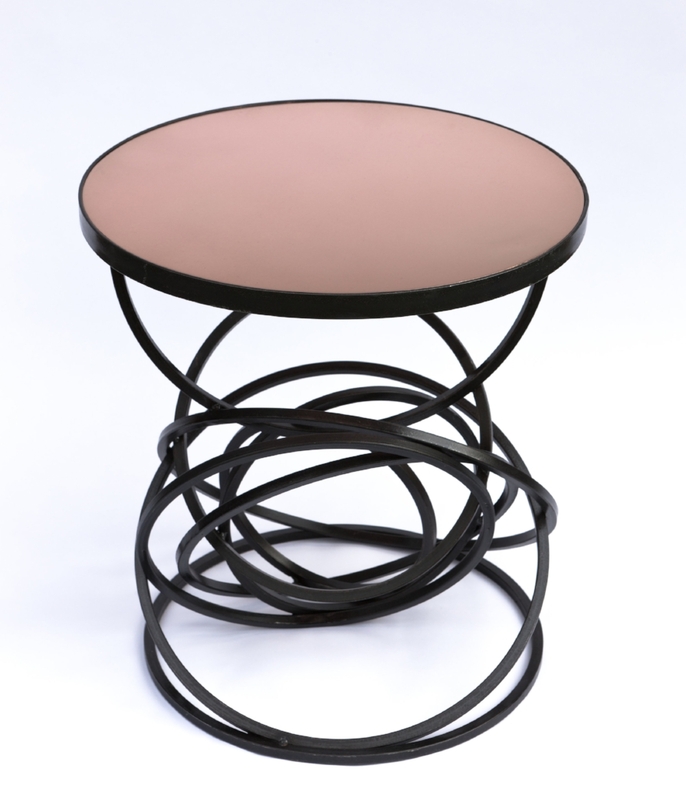 Cathy Azria's signature sculptural style is perfectly exemplified with her Moon Tables. Made from solid steel and a range of table top finishes, Cathy's design add originality and a talking point to any interior. Best known for her quirky hot rod fire sculptures which have earned her a worldwide reputation for creating Art in the Hearth artist Cathy Azria has now followed the design through to create a series of side and coffee tables available in different metallic finishes including brushed stainless steel, bronze sheet and solid bronze cast in a choice of wonderful patinas. Also available in painted glass in a choice of colours. All tables are made to special commission.